Congratulations on your latest release, Catherine! Thank you Kathleen. I’m excited to see how my readers will like it. 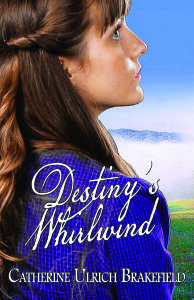 Book 3, A Destiny of Heart, CrossRiver hopes to release in the autumn of this year!